Ever seen a pig fly? 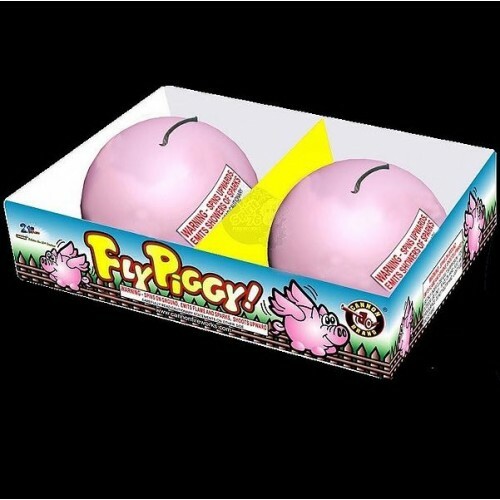 Now you can with Fly Piggy. This hog spins incredibly fast with a red glow, then shoots up squealing while glowing green. A great selling item. 1 pkt of 2 piggy.